Our Cal Ripken registration is closed for 2019. We will have one 10u team that is already formed. Practice begins indoor in February and outdoor as soon as the weather permits. Games begin in mid May. Games are typically on Tuesday and Friday evenings for 10 and under and Monday and Friday for 12 and under. Games typically begin at 6:00 PM. The Dane County league is complete around the second weekend in July. There is a state tournament for each age level that takes place after the season. Coaches will decide if teams will participate in post season play. Teams are organized based on the number of players registered and results of the evaluations. Teams may have a maximum of 15 players and are typically comprised of 12-14 players. Evaluations are used to ensure players are ready to play in the competitive program and effectively form teams. Team composition is determined by the League Commissioners and the Coach. 10U - For players Cal Ripken Minor 10 years old and under. Games are played on a diamond with 60' bases and the pitchers plate is 46'. Cal Ripken rules are used, with some minor modifications for the Dane County League. This is the initial introduction to more competitive play and the focus is still on player development. League games are on Tuesday and Friday nights. 12U - For players Cal Ripken Majors 12 years old and under. There are divisions that play with both the 46/60' and the 50/70' formats. The 50/70' field format was new for 2012 and offers a more exciting game with a larger diamond and players leading off the bases. 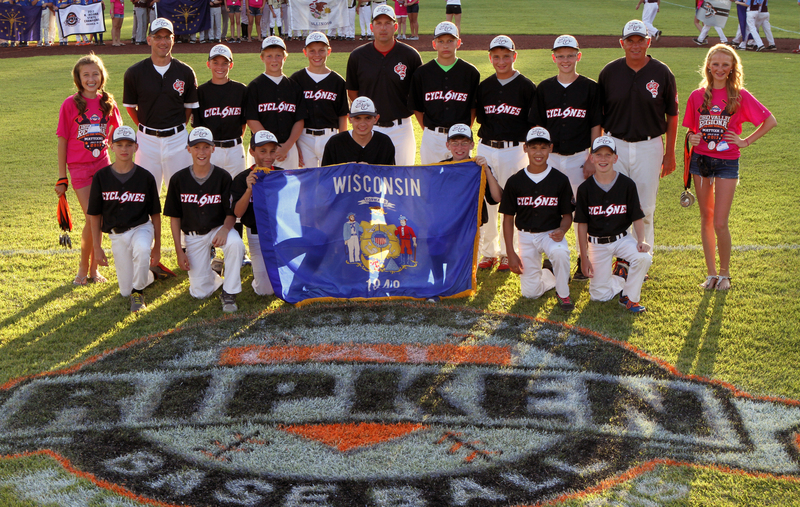 Cal Ripken rules are used, with some minor modifications for the Dane County League. There is a state tournament for each format. West Middleton can put teams in each division based on what is the best option for the team. League games are on Monday and Friday nights.